The original Seven Favorites was such a huge hit with our customers that we just had to come up with an equally delicious counterpart. 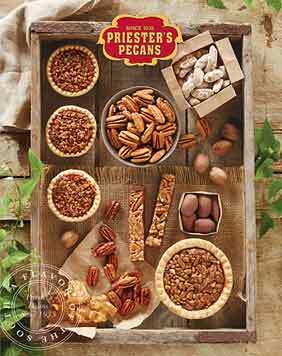 Perfect and perfectly named, our Seven More Favorites sampler gives Priester's nut lovers even more to love with Roasted & Salted Macadamias, Roasted & Salted Almonds, Roasted & Salted Pecans, plus Macadamias, Almonds and Pecans, all smothered in rich milk chocolate. 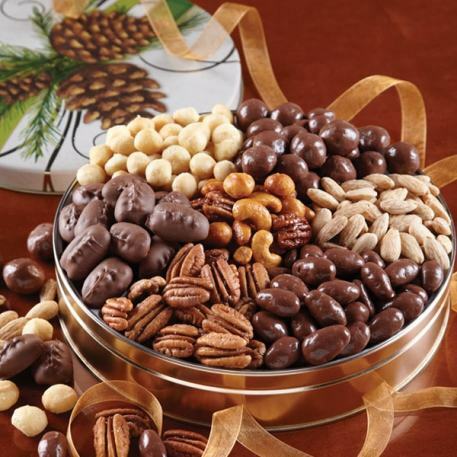 Everything surrounds our own special Honey Glazed Mixed Nuts in the center. 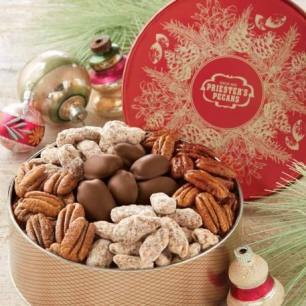 Beautifully presented in our new Southern Pines gift tin, it's sure to rank high on their list of all-time favorite gifts. Wonderfully delicious product. Great service. A great sampler! All were fresh and tasty! 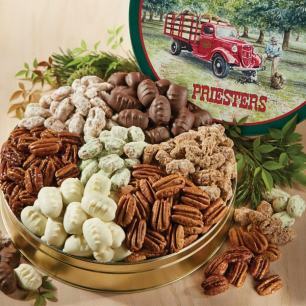 My sweetheart loves these nuts and has sent my mom and I gifts from here in the past. He loves them too! So I made sure to have some shipped to him during the grueling tax season - he's a CPA. The gift arrived on time, the process for ordering was easy, and most important, he loved the nuts. Very tasty and reasonably priced, all things considered, for a shipped gift item. Lots of choices and price ranges to cover every person and occasion!